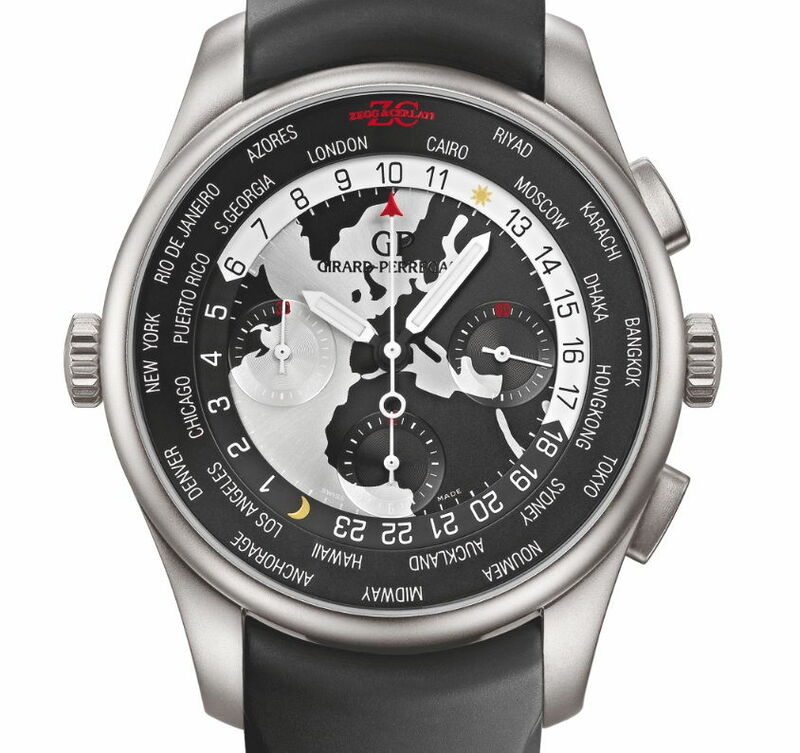 Jul 08 The Girard-Perregaux WW.TC Zegg and Cerlati Edition watch. Girard-Perregaux, in collaboration with the boutique Zegg & Cerlati, has recently released a new limited edition version of the brand’s iconic WW.TC (World Wide Time Control) collection, the aptly named Girard-Perregaux WW.TC Zegg & Cerlati Edition. Girard-Perregaux launched the WW.TC collection in 2000 and it quickly became a mainstay of the Swiss brand, a company that dates back to 1791. With over two centuries of history, it comes as no surprise that they elected to produce this limited edition watch for Zegg & Cerlati, one of the world’s pemier watch and jewelry boutiques. 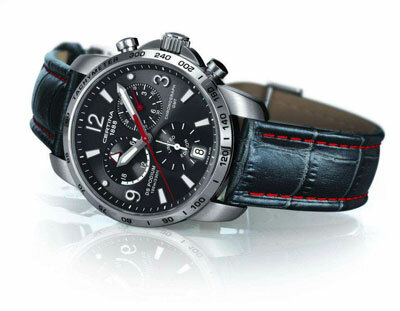 The Girard-Perregaux WW.TC Zegg and Cerlati Edition. Protected by a 43mm bead blasted steel case and sapphire crystal, the dial is a design of a black and steel, partial world view encompassing much of Europe, Africa, the Atlantic Ocean and parts of North America and Asia, with Zegg & Cerlati’s base of operations, Monaco, as the center. Besides the standard hours, minutes and seconds hands in the center of the dial, there is a small 60-second counter at 3 o’clock, a small 12-hour counter at 6 o’clock and a 30-minute counter at 9 o’clock. Surrounding this is a world-time with day/night indicator. Finally, on the outer ring is a list of the major cities representing the 24 time zones with the exception of the Zegg & Cerlati logo at 12 o’clock representing the Eastern European Time Zone, in which Zegg & Cerlati’s principality of Monaco resides. This feature is to show the global stock market times, a feature aimed at the probable concerns of anyone fortunate enough to afford one. 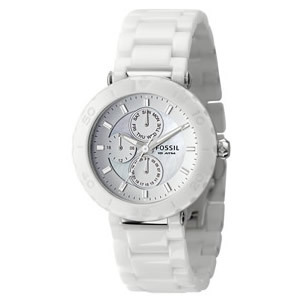 Features all available on the WW.TC Financial, the model this watch most closely resembles in terms of functions. 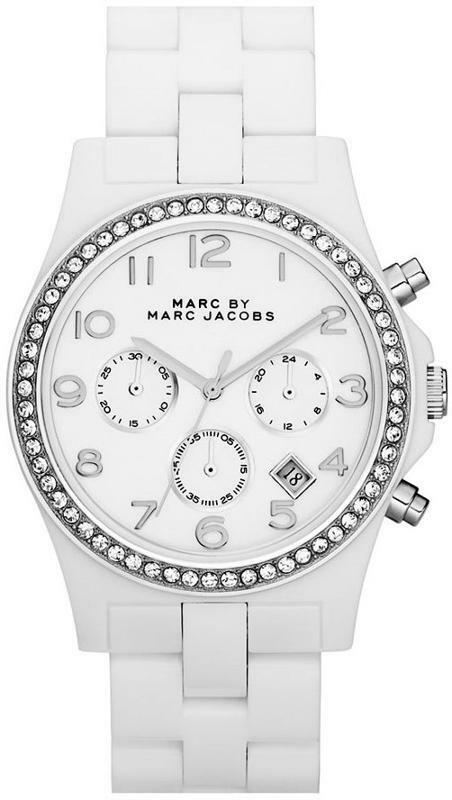 time now, and this watch is definitely a beneficiary of that. Like the WW.TC Financial, this watch uses the automatic GP033C0 movement, which claims a power reserve of 46-hours. It is this movement that allows for the exceptional functionality of this watch. The black rubber strap, in conjunction with the black and steel colored map design of the dial and the steel case contrasts nicely and makes this piece very attractive but its the functions that put this piece over the top. The Girard-Perregaux WW.TC Zegg & Cerlati Edition is an ideal watch for the financial guru, especially one who also desires exclusivity, as this watch is a limited run of only 15 pieces that will be available only through Zegg & Cerlati boutiques. 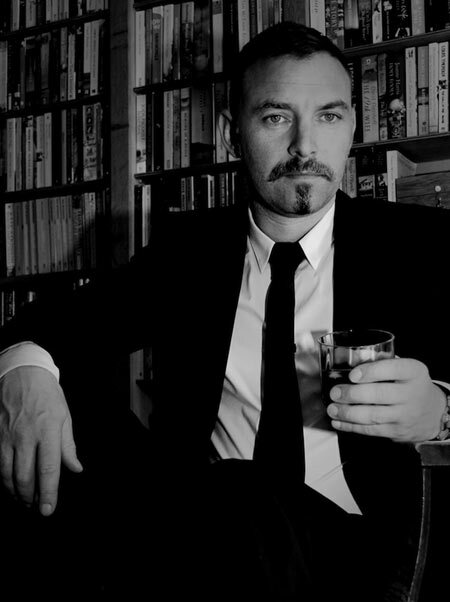 Schofield Watch Company founder Giles Ellis. company was just recently introduced into the highly competitive world of high-end watches at the 2011 Saatchi Gallery SalonQP (an exhibition of watch companies and their wares), receiving critical acclaim which led to an extended waiting list for their models. The Schofield Watch Company’s surprising early success wouldn’t be possible without founder Giles Ellis’ vision and extreme dedication and attention to detail. The Schofield Watch Company is an independent company, based just north of Brighton in a small village in rural Sussex, England. Ellis founded the company in order to design a watch that he himself would like to wear. In fact, initially the company was not supposed to be a commercial venture but simply a personal enterprise to create a luxury watch to Giles’ own exacting and meticulous standards and his own unique style. Giles himself spent countless hours meticulously detailing every facet of the business and involving himself in everything from picking parts suppliers, logos, the website, photography and almost every other possible variable involved in crafting the brand and its products. His meticulous attention to detail meant he spent an inordinate amount of time just to find suppliers that offered the quality he desired and, upon realizing that one watch would require nearly 4000 man-hours to complete he founded the Schofield Watch Company. Giles spent several years working on all of these aspects, and without his efforts there would be no Schofield. That Giles’ first model designs, the Signalman GMT PR and the Signalman DLC GMT PR, were so well received owes to his history. Giles’ father is a skilled woodworker and his mother is a sculptor while Giles himself has embarked in endeavors as diverse as owning a business restoring antique musical instruments to designing components for high-end hi-fi equipment and mountain bikes. With his background in graphic and product design and the monolithic 18th and 19th century British lighthouses that he drew the inspiration from for his first models, it should be no surprise that the Signalmen models were so highly praised, in spite of focusing on aspects other than fashionability in the designs. 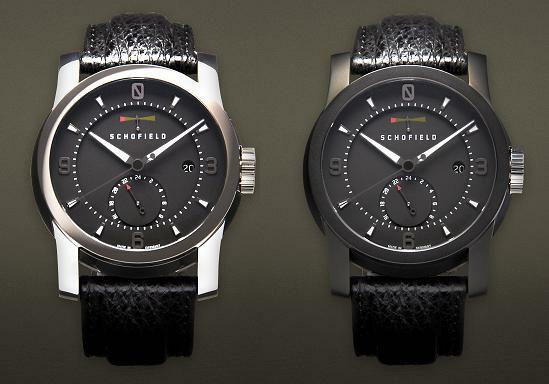 The first models released by Schofield, the Signalman GMT PR (left) and the Signalman DLC GMT PR (right). 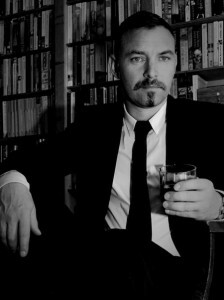 The result of Giles’ tireless work ethic and dedication to detail was the critically-acclaimed launch of his passion project. What lies in store for the future of the Schofield Watch Company is unsure, but if early success is any indicator, it is a future that will be highly anticipated by watch enthusiasts and collectors everywhere. Swiss-based watch craftsman Kees Engelbarts has recently unveiled his newest “Piece Unique,” the term he uses to describe his watch creations, and this timepiece is most certainly “Unique” from a visual standpoint. movements, etc., until 1997 when he decided to begin creating his own watches. Engelbarts has spent the years since hand-crafting watches and one of the techniques he employs in his watch creation is a 17th century Japanese engraving technique known as Mokume-gane. Mokume-gane is a technique used to imitate wood grain patterns in metal laminae by bonding two different colored metals or alloys that are compatible in their malleability and ductility without the use of flux or solder. Mokum-gane is certainly a principal design element that lends the term “Unique” to this piece. 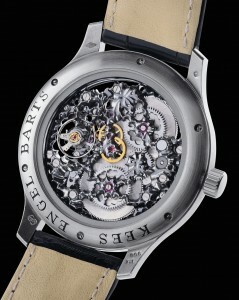 Engelbarts’ latest “Piece Unique” features a dial made of oxidized Damast steel that can appear blue, violet and even yellow. The blue hour and minute hands contrast nicely with the skeleton-ised dial, which leaves much of the movement below exposed from the front. Several gears are visible as are the two main spring barrels, the balance wheel and parts of the bridges and main plate. The crystal sapphire with anti-reflective coating on both sides ensures that these features are all easily visible. There is also a crystal sapphire with anti-reflective coating on both sides on the backside of the piece, rendering the equally impressive sculpting on the backside, as well as more of the movement, visible. 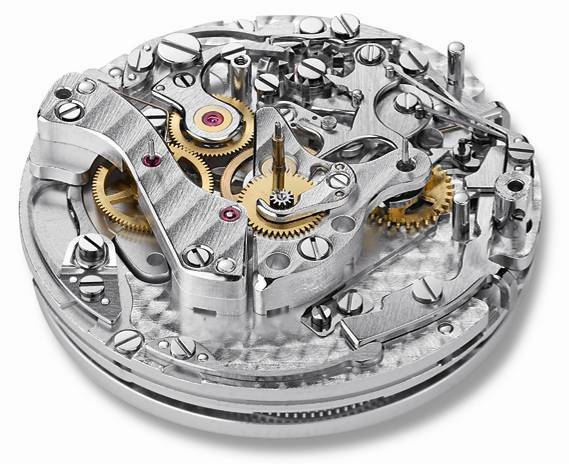 The movement itself is actually a Technotime caliber 718. The Technotime caliber 718 is a manually winded movement and features a 120-hr power reserve. The complications and the finishes of the Technotime 718 are completely customizable and, besides its impressive five-day power reserve, it is reasonable to assume that is why Engelbarts would select this movement for this very detailed piece. The movement and dial are both housed in a handcrafted, platinum case that measures 42mm in diameter with a height of 11mm. Kees Engelbarts has inscribed his full name on the outside of the case but other than that there are no other letters, numerals or symbols visible on the front of the case, which could lead to some difficulty getting an accurate reading of the time. 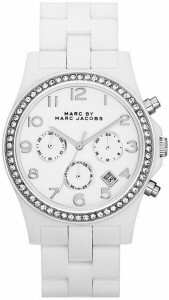 The strap is made from black crocodile leather with a platinum clasp to round out the aesthetic features. Despite featuring a quality movement in the Technotime 718, this timepiece is quite impractical as a time-indicator and is more of an artistic creation than anything. Still, Kees Engelbarts’ newest “Piece Unique” is an interesting and creative watch that continues Engelbarts’ history of unique timepieces and is sure to leave watch enthusiasts anticipating his next creation. 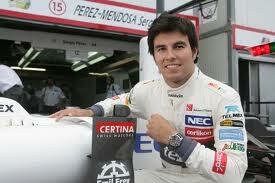 Sauber F1 Racer Sergio Perez wearing the new DS Podium GMT Chronograph Limited Edition Sauber F1 Team. The Sauber Formula 1 Racing Team and Mexican driver Sergio Perez recently helped Swiss-watchmaker Certina unveil its new watch, the DS Podium GMT Chronograph Limited Edition Sauber F1 Team, at Sauber’s company headquarters in Switzerland on June 19. Highlights of the event included when Perez, who had finished 3rd at the recent Canadian Grand Prix, was presented no. 2 out of the limited run of 2012 pieces of the DS Podium GMT by Certina CEO Adrian Bosshardt and later, when three journalists tried to match some incredible track times set by Sergio Perez on an F1 simulator. But the biggest highlight of this event, as it should be, was the watch itself. This limited edition of the DS Podium GMT Chronograph has a polished-steel case with a polished bezel and tachymeter scale. At 3 o’clock is a screw down crown with side protection that is flanked at 2 o’clock and 4 o’clock by push down chronographs. The backside of the case has an inscription of “Sauber F1 Team” and the team logo as well as the unique production number of each piece. Housed in the case and protected by scratch-resistant sapphire crystal, the grey sunray-finish dial has a special twin-scale GMT and a small 60 minute counter at 3 o’clock, a small snailed 24-hour indicator at 9 o’clock, at 6 o’clock is a small snailed seconds counter as well as a small black-on-white date window at 6 o’clock to ensure optimal visibility. To ensure the time is clearly visible in different conditions of light, the 24-hour and GMT sub-dial hands, Arabic numerals (3, 9 an 12) and the indexes are applied with Superluminova and the centers of the large seconds and minutes hands are filled with the luminescent material, as well. This DS Podium GMT also boasts a water resistance at depths of up to 100 Meters. The Certina DS Podium GMT Chronograph Limited Edition Sauber F1 Team. Since this limited edition watch was created to commemorate the partnership between Certina and Sauber Formula 1 Racing Team that started in 2005, it is only fitting that Certina adopted Sauber’s team colors of white, red and gray for the color scheme of this watch. The red stitching on the grey leather strap epitomizes the color scheme on this watch. The Certina DS Podium GMT Chronograph Limited Edition Sauber F1 Team watch comes in a display case shaped like the nose from the Sauber F1 race car and also comes with a numbered, individual certificate. This watch is sure to appeal to watch enthusiasts and Formula 1 Racing fans alike but unfortunately, due to the limited numbers being made, the Certina DS Podium GMT Chronograph Limited Edition Sauber F1 Team watch is only going to be available in the countries of Germany, Poland, Spain, Switzerland and Austria. With summer already here outdoor living and exploring is now a must. 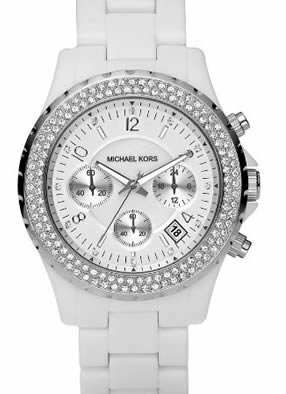 Watches are back in season and for women this means a wide selection to choose from. 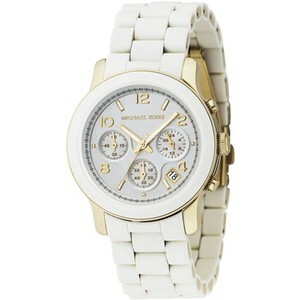 Here are the top white women’s watches one can buy for the summer. Swiss watch brand Vulcain, founded in 1858, was the first watch manufacturer to input an alarm feature into its wristwatches. 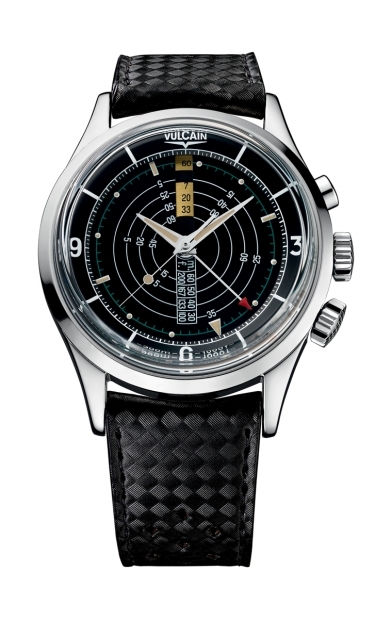 Vulcain is reissuing the first timepiece that featured the alarm clock, the 1961 Nautical Cricket. The re-edition of the original, the Vulcain Nautical Heritage Alarm Watch, promises to be as admired as the first. 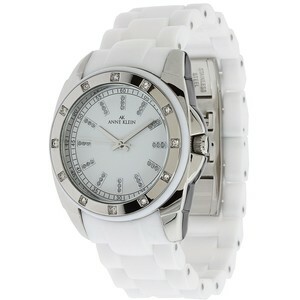 The innovation of adding an alarm clock has made Vulcain watches popular with American presidents. Harry S. Truman was the first president to wear a Vulcain watch, and every president after him has owned one. This tradition has helped Vulcain watches become a recognized and respected brand. The re-edition of the original Nautical Cricket from 1961 is celebrating the 50th anniversary of the historic model. Only 1,961 pieces will be made for purchase. The original Nautical Cricket was created to compete with JLC’s 1959 Deep Sea Alarm watch. The two competing watches were very similar in design and features, but Vulcain’s growing reputation over the years has proved that their product is supreme. The Vulcain Nautical Heritage was designed with divers in mind. With a water resistance up to 300 meters, or 990 feet, the alarm function can still be used under water. Its inner-rotating bezel will indicate the decompression stages the farther down the diver descends in water, and the alarm can still be heard clearly up to 220 meters. The Legendary Cricket V-10 alarm has 12-lignes in its mechanical hand-wound movement, an inner-rotating bezel, 17 rubies, and 157 parts with a frequency of 18,000 vibrations per hour. An exactomatic system and 42 hour power reserve lend to its impressive features. Along with expected features such as hours, minutes, and seconds, it has the mechanical alarm feature accompanied by a chiming clock lasting 15 to 20 seconds and luminescent numerals and hands. The casing of the Vulcain Nautical Heritage is a 42 mm supercompressor steel and sapphire glass laid over a black dial with a 16-hole triple steel case-backing. It is not widely known that Vulcain was the first to implement the 16-hole case back, which boosts audibility of the alarm. There are three choices of straps: alligator leather strap, black rubber tropic strap, or steel bracelet. A double folding steel buckle and engravings of the Swiss and U.S. patent numbers on the case back complete the look. Retail price is $5,975. View the Nautical Heritage watch at Vulcain’s official website. Roger Federer, Swiss tennis star, has good reason to be a Rolex enthusiast. With their established chronomatic precision, classic designs, and sport-friendly features such as water resistance, athletes cannot help but love them. 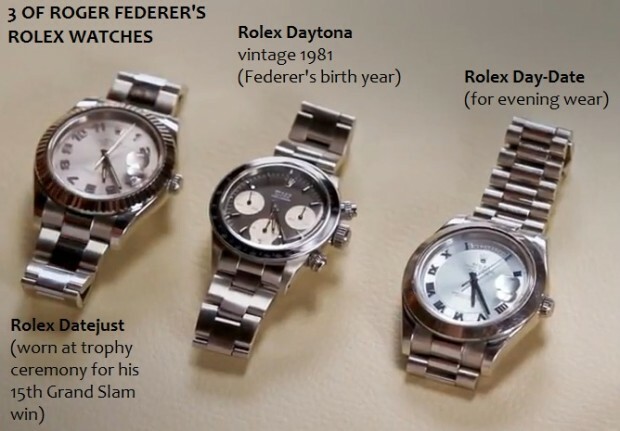 Federer has been an avid Rolex collector and endorser for several years, and he has acquired a few very special Rolex watches: the Day Date, Datejust, and a vintage Daytona from 1981. Rolex has been the leading name in luxury watches since the early 20th century when Hans Wilsdorf, the founder of the Rolex brand, created precise and elegant watches made from Swiss parts. In 1910, Rolex received the Swiss Certificate of Chronometric Precision, the first watch to receive that honor that was not a marine chronometer. The award earned Rolex a reputation of precision, yet they have always maintained their elegant style. Although Roger Federer is number 4 on the Forbes list “Top 50 highest-paid athletes” in 2011, not one cent of his earnings is spent on his growing Rolex collection. The only condition of his endorsement for Rolex is that he exclusively wears Rolex watches. Who would complain? Day Date Watch – The Day Date watch is Federer’s first choice for night events and while on the tennis court due to its light-weight design. This watch was the first to spell out the day in its entirety on the dial. Datejust – Federer received his Rolex Datejust at the Wimbledon trophy ceremony when he achieved his 15th Grand Slam tournament victory. His Datejust features a fluted bezel. Vintage Daytona 6263 – This watch might be the most precious to Federer. Issued in his birth year of 1981, his wife tracked down this vintage piece for his, and the watch’s, 30th birthday. Roger Federer prefers that his Rolex watches be made of stainless steel. He prefers stainless steel because they are light enough for him to wear them while playing tennis. Roger Federer says “every Rolex tells a story.” Watch this video of his interview with Vijay Amritraj, in which he tells his own personal stories of his Rolex collection. The Portuguese Automatic Watch, from International Watch Company Schaffhausen, embodies the timeless style the company is known for. This reputation sets the Portuguese Automatic Watch high above the rest. 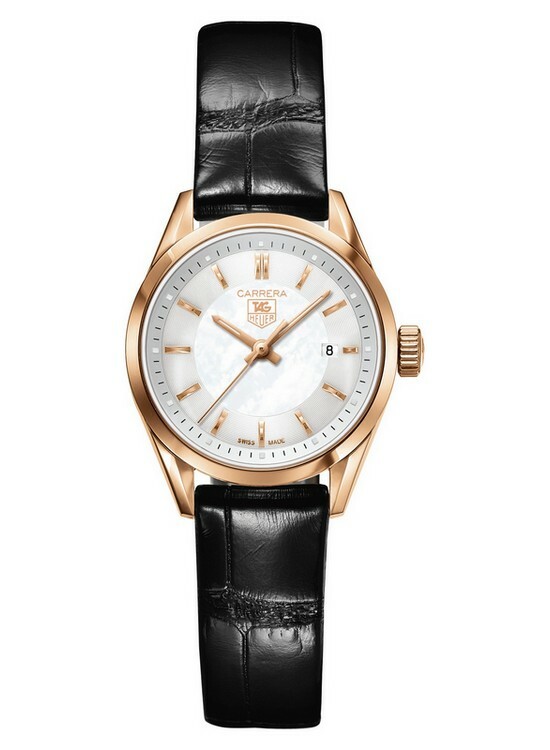 Pure Swiss craftsmanship and elegant appeal are evident from the moment this watch is seen. 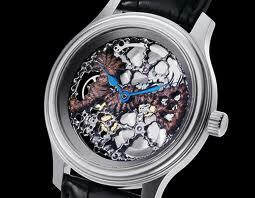 International Watch Company has stuck by its traditional design with this exquisitely made watch. 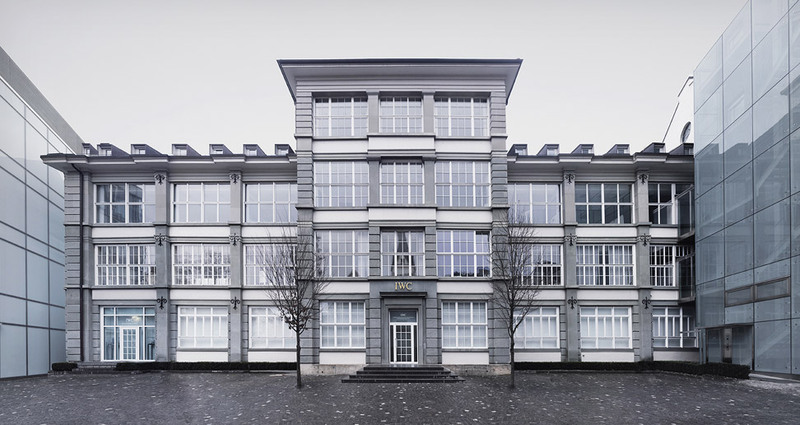 International Watch Company Schaffhausen is known for its collections, or families, of watches. The Portuguese collection is one of the earliest to be created, with the first being released in 1939 when two Portuguese businessman ordered stainless steel watches with technical precision from IWC. The manufacturer delivered with a watch that would become iconic for its precision and complexity. The Portuguese Automatic Watch is only one of several Portuguese watches within the collection from IWC. 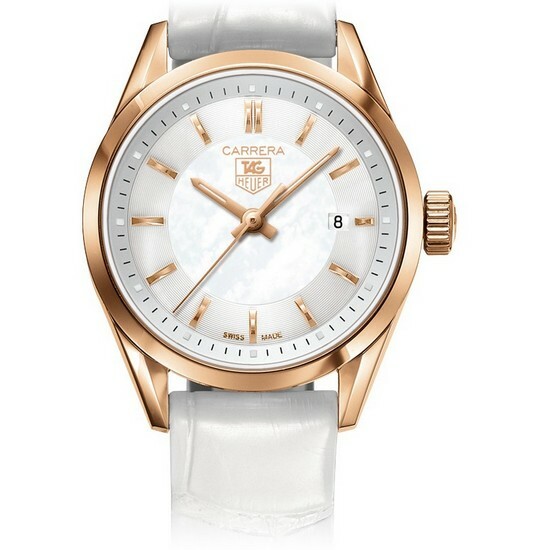 The Portuguese Automatic watch comes in steel, platinum and pink gold 42 mm casing with a see-through sapphire-glass back that allows for viewing of the mechanics within the watch. With its Arab numeral figures and a “railway” minute display, the watch is easy to read, as well as extremely accurate. The Pellaton winding system, which has been used in all IWC watches since the 1950’s, and the Caliber 51011, the largest winding automatic movement available in the world, make the Portuguese Automatic perfectly precise. The watch also has a balance wheel that is screwed down with adjusted cams on the arms and a Breguet spiral that lend to its flawless precision. A seven day power reserve allows for extended use, but the gearing will shut off before all power has been exhausted (this can cause tension on the spring, which means diminished precision). The price tag on the Portuguese Automatic is as customized as the different designs. 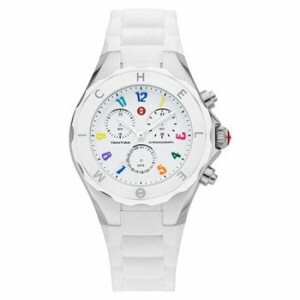 Prices can range anywhere from $12,400 to $23,700, according to the International Watch Company’s official website. The pricing is as serious as the designers who have crafted the Portuguese Automatic. Visit the official website of the Portuguese Automatic here to compare prices and models. The International Watch Company Schaffhausen – or IWC – has been an innovative force since its inception in Switzerland in 1868, when Boston watchmaker Florentine Ariosto Jones set up in a factory in Schaffhausen. He made IWC unique by seeking to connect American production with Swiss craftsmanship, rather than following the techniques of French-based watch makers. Starting with their unique beginnings set far apart from other watch company’s, the International Watch Company has created a reputation as an innovative and technologically inventive manufacturer of watches. IWC Schaffhausen watches reflect a combination of “precision engineering with exclusive design” – characteristics that have enabled the company to grow from an outsider to a leader in watchmaking. Although F.A. Jones started with pocket watches, IWC’s variety of timepieces has grown. There are now multiple watch families within the IWC brand that boast all of the technological innovations and classic traditions from which the company was built. After IWC made a name for itself with their first pocket watch, the Magique, and their creation of the first watches to display the Pallweber system of digital hours and minutes, they launched the Pilot’s Watch collection in 1936. Throughout the decades, the Portuguese, Ingenieur, Aquatimer, Da Vinci and Portofino watch collections followed. These collections have become iconic models that have been recently updated with automatic movements and more contemporary designs. 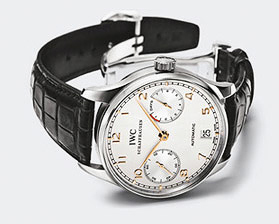 The updated watches are part of the IWC Vintage Collection. You can browse through all of IWC’s collections here. The two causes that IWC supports are environmental awareness and youth disadvantages. On its website, IWC states that the company “has a corporate philosophy that embraces ecological responsibility and social commitment.” IWC has achieved international success with their global projects concerning ecological and social matters. For years now, IWC Schaffhausen has been striving to reduce its carbon dioxide emissions. In 2003, IWC production was moved to two new buildings composed of insulated glass and innovative ventilation that were designed to reduce IWC’s CO2 footprint. Its production facilities have given them certification as a climate-neutral company. Through the use of innovative production technologies and alternative energy use, IWC has been able to reduce emissions by 90 percent. Not only does IWC strive for environmental impact awareness in the workplace, its employees are rewarded with financial incentives for making individual efforts to reduce their own CO2 footprints in their personal lives as well. All of IWC Schaffhausen’s efforts to become an environmentally friendly company reflect the root of its philosophy. Georges Kern, CEO IWC Schaffhausen, explains that “beyond the confines of our company, at IWC we aim for similar standards in our response to the environmental challenges of today, supporting landmark projects around the globe.” IWC Schaffhausen is a member of Climate Group, an international non-profit organization that strives to reduce global emissions by implementing a clean industrial revolution. Passion for innovation is reflected in IWC’s research efforts with the “Plastiki” Expedition, which delves into the problems surrounding some of the most environmentally threatened areas on the planet and seeks to reduce plastic waste. IWC Schaffhausen is also committed to promoting social causes, such as the Laureus Sport for Good Foundation, an organization that beings awareness and support for social and physical handicaps in children all over the world. The Charles Darwin Foundation, a cause devoted to preserving the natural ecosystem of the Galapagos Islands, also has the support of the IWC. IWC Schaffhausen’s passion for ecological and social improvements can only be matched by its passion for exquisite watch manufacturing. Visit IWC’s website for more information about the company’s products and impact.